Fifty Shades of Grey Inner Goddess Ben Wa Balls. 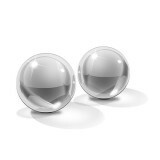 wo silver pleasure balls designed to effectively tone and tighten your pelvic floor muscles and deliver heightened pleasure during play. 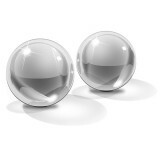 Suitable for experienced users, each metal ball is wonderfully smooth and weighted, stimulating your in.. The Fifty Shades of Gret Delicious Pleasure Ben Wa Balls. Smooth silicone encases two lightly weighted free-roaming spheres. Expertly tone and tighten your muscles for increased control and heightened stimulation during and after play. Team with water-based lubricant and gently insert..